kelbysews: Stash Fabrics Kona Blog Hop and Fleur Pattern! 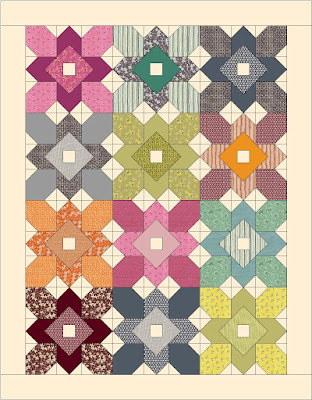 Stash Fabrics Kona Blog Hop and Fleur Pattern! 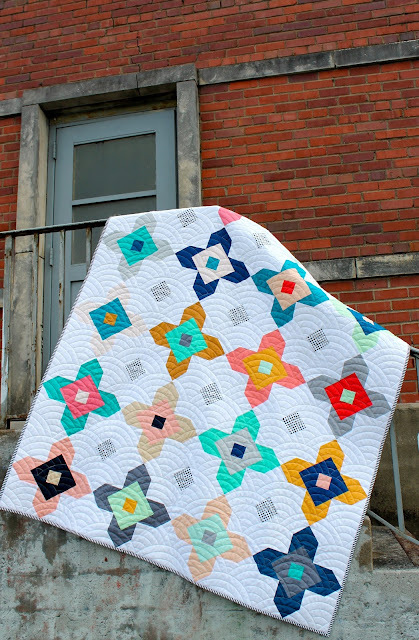 I was so excited when Beth of Stash Fabrics asked me to participate in her Kona blog hop (read to the end for a coupon code and information on my giveaway)! 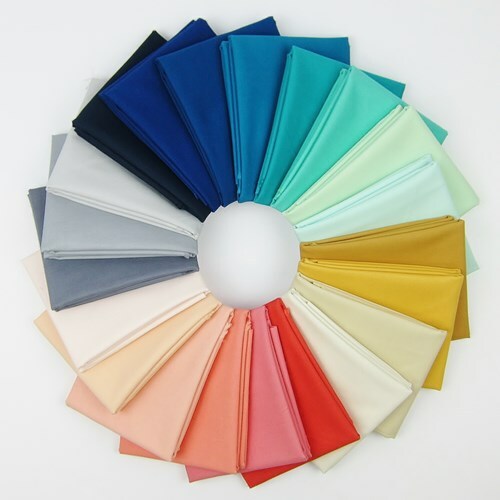 She asked me to choose my favorite 12-15 Kona colors for my very own bundle......I sorta chose 21 colors instead! Ooops! Sweet lady that she is, Beth went along with my pull! Did you know she carries ALL KONA COLORS?!?!?!? Yeah, me either! Anywho! I decided to use my (totally awesome) bundle to create a new pattern for Hearts and Bees called Fleur! I am so in love with this quilt!!!! I dragged it all over town trying to find the best shot! People must have thought I was nuts! This one was taken at the Civil War Battlegrounds in Franklin TN! I stole a tourist to help hold the quilt! I pulled over on the side of the road to use these ratty old stairs that lead to some utility building. I'm so classy! ha! ha! ha! You can really see the stellar quilting Crinkle Love did for us here! I absconded a jogger along the Harpeth River for this one! Gotta love the South--you can ask perfect strangers to do weird things and they're totally agreeable! 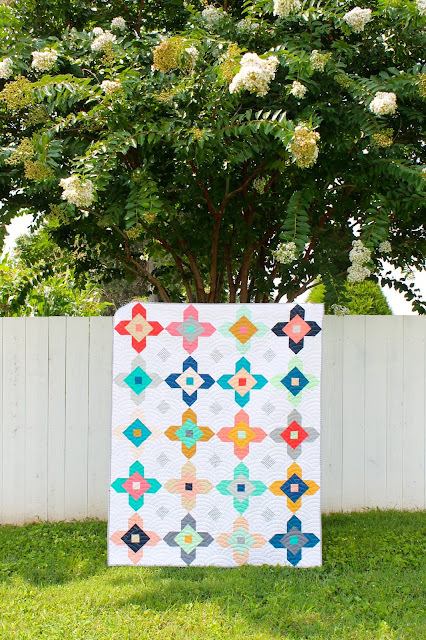 I am IN LOVE with this mocked up version she made with Denyse Schmidt's Hope Valley! Oh! It also comes with the paper pieced mini versions of both patterns! Yeah, we're cool like that! So, don't forget to check out the other killer bundles along the blog hop and get 10% off your Stash Fabrics purchase with the code WOW303 through September 6th. You know you want my awesome bundle! Also, there is a great new Kona Club Stash Fabrics is starting soon to help build your stash! If you sign up before September 1st you get a free color card! Love your quilt! My daughter lives in Nashville, she would love to help you out with pictures sometime! Love this! Especially in solids. Going to have to make this in the baby size for sure. I adore this pattern....and enjoy the solid version that you made, and printed fabric that Jessica made is stunning as well!! Congrats! 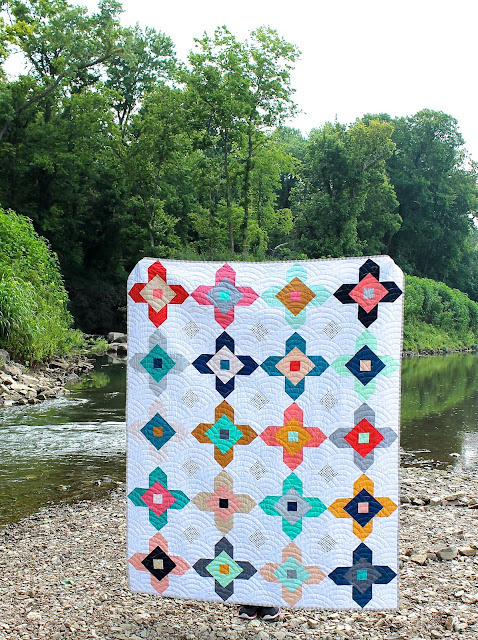 I love all the colours you chose for this quilt pattern !! !